Please Note: Due to its robust features, the Custom Grid Plugin will not work via Integrify Mobile. Fill grid from data source Checkbox No Allows grid to be filled from a data source. Data Source Query or Table Yes Allows grid to be filled from a data source. Destination Table Yes The table where data will be save when inserting or editing records. Default Value None, @newguid, @timestamp, @request_ID, @request_SID, @task_ID, @task_SID, @user_name, @user_ID, @user_SID No built-in variables associated with the request that may be used to fill columns. Auto-generate Columns: this allows you to auto generate the column settings based on the destination settings table. Query that will be used when inserting new records: Optional query that defines how data is inserted when adding new records. 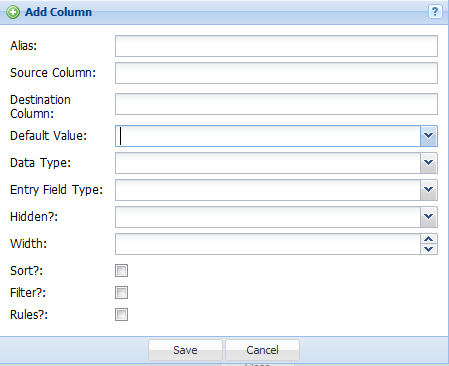 When left blank, the task will attempt the insert based on the defined columns. Query that will be used when updating new records: Optional query that defines how data is updated when editing new records. 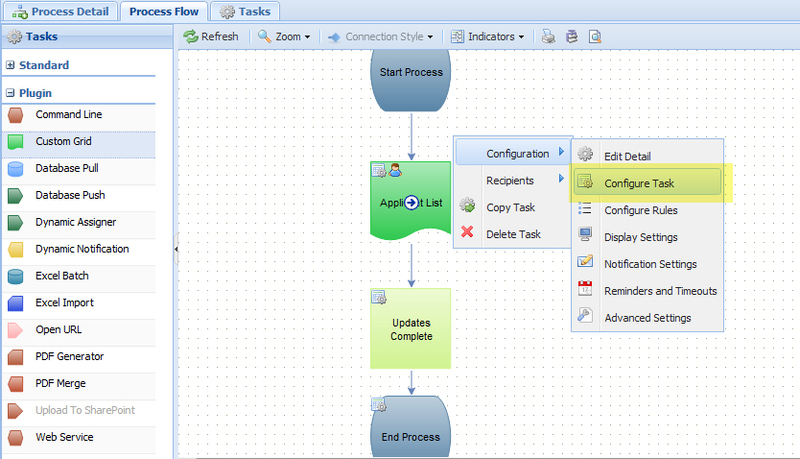 When left blank, the task will attempt the update based on the defined columns. Query that will be used when deleting new records: Optional query that defines how data is deleted. When left blank, the task will attempt the delete based on the primary key of the Destination Grid. Query that will be used to return the primary key of a newly inserted record if primary key is auto-generated without a sequence or identity: For returning a primary key.